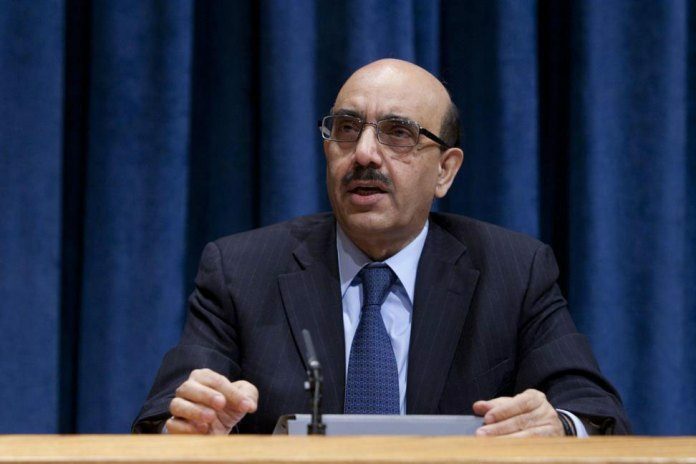 ISLAMABAD, Oct 30 (APP): President Azad, Jammu and Kashmir Sardar Masood Khan has sought British government’s support to stop human right abuses committed by the Indian occupation forces against Kashmiris. He also appreciated the proposal of the British parliamentarians to send cross-party delegation to both sides of Kashmir so that the facts about human rights situation could be ascertained. He was talking to Andrew Griffiths MP, Lord Commissioner of H.M treasury at his office in London, said a press release on Sunday. The President AJK updated the British member of parliament on the current human rights situation in the Indian Occupied Kashmir (IOK). He urged Griffiths to ask British Prime Minister to raise the issue of human rights violations in IoK with her Indian counterpart during her upcoming visit to India. Andrew Griffiths appreciated the importance of AJK President’s visit to the United Kingdom and expressed concern over deteriorating human rights situation in IoK. He said the international community should encourage and facilitate resolution of the Kashmir dispute. The President also attended a round table discussion with policy influential at the Royal United Services Institute (RUSI). In the evening, the President addressed two community gatherings and an educational conference in Birmingham.